Learn how to make your own DIY jewelry. 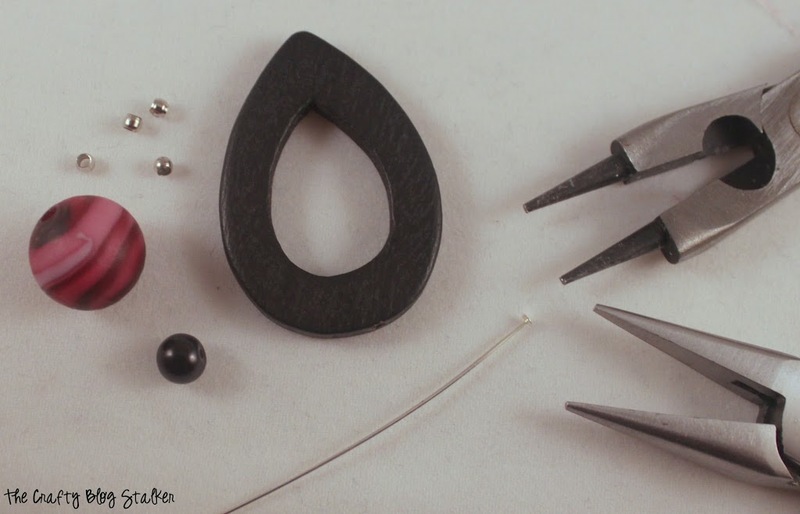 A simple DIY craft tutorial idea for teardrop earrings that are easier to make than you think! Tomorrow is a big day at work and I want to look my best. My clothes are all picked out, I know what shoes I’m going to wear and I even have my hair style all planned out. BUT I can’t seem to find that perfect pair of earrings in my stash. So I have to fix that! The earring tutorial I am going to share with you today is really pretty easy and they only took a couple of minutes to make. All of the supplies used, I already had on hand. Take a look around, you may be pleasantly surprised with what you already own! 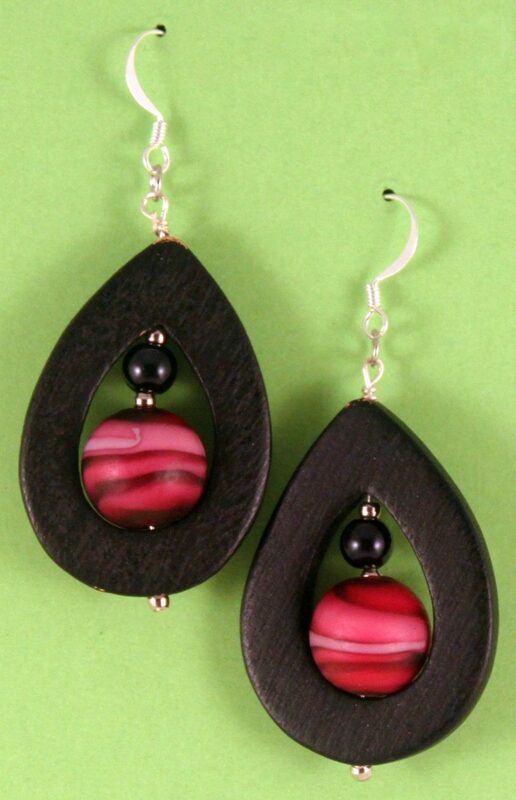 For each earring, I used a wood black teardrop bead, a black/pink swirl bead, smaller black bead, 4 silver spacer beads and a head pin. String the beads onto the head pin. Wrap the end of the head pin into a loop. 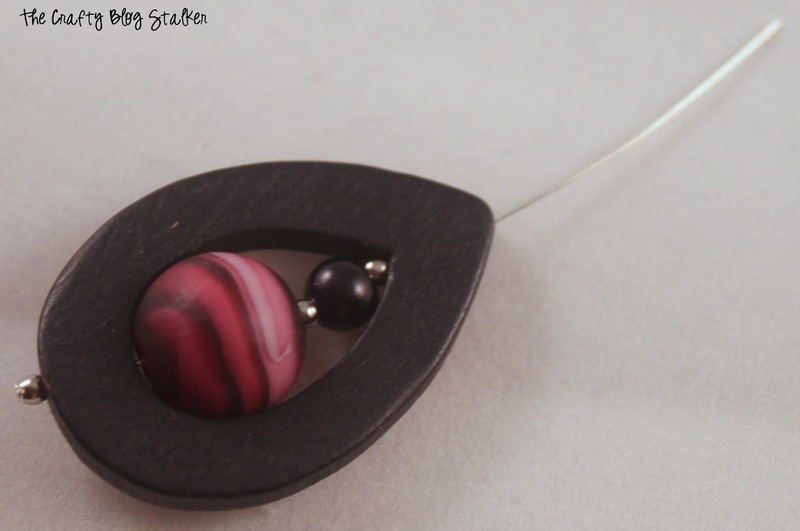 I recently did a post on the step by step of how to wire wrap a head pin. Add a jump ring to the loop and the earring wires and you go are good to go! What pieces of DIY jewelry have you made? Share and leave a comment below! Want more DIY Jewelry Inspiration? 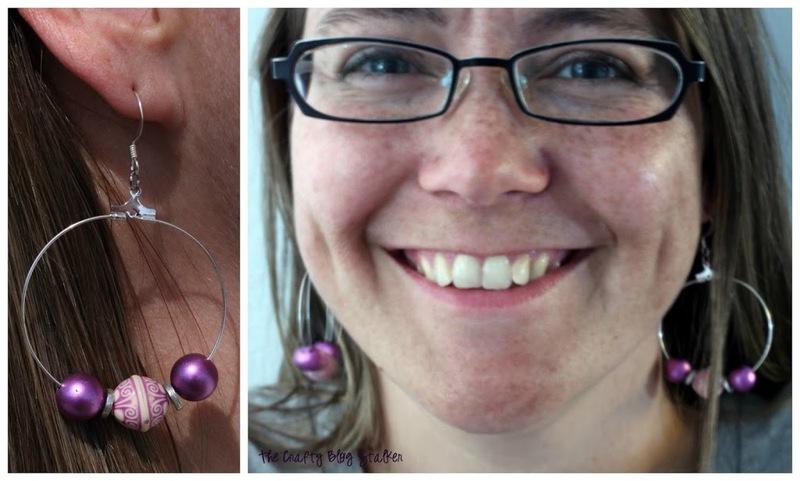 I love dangling earrings but I have never made my own. Maybe someday because it sounds like a lot of fun. Thanks for sharing on Merry Monday!